Founder of Swedish company Kapsel Multimedia, Wilhelm Lagerkranz, wanted a small, quiet computer he could use as a home media center. He looked around the marketplace and didn’t find what he wanted, so he decided to make it himself. Lagerkranz and his design team drew hundreds of sketches, trying to hone in on a form factor that didn’t look like anything else in the conventional world of PC design. 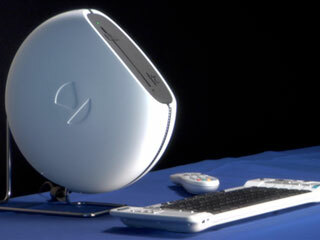 Their Intel Core 2 Challenge PC Design has passive cooling, and curves. See for yourself.